"There's a Reason for all that Sneezin"
​a must when you think mold is present. If you are concerned about the air you breathe, you should understand what is in the air you breathe. You will begin to also understand your health issues and the possible causes. Mold also requires moisture and we are experts in locating moisture intrusion with our thermal imaging. If you feel your property owner, landlord, or builder has not been responsive to concerns you’ve expressed regarding mold exposure, you can contact your local board of health or housing authority. Applicable codes, insurance, inspection, legal, and similar issues about mold generally fall under state and local (not federal) jurisdiction. You could also review your lease or building contract and contact local or state government authorities, your insurance company, or an attorney to learn more about local codes and regulations and your legal rights. CDC does not have enforcement power in such matters, nor can we provide you with advice. 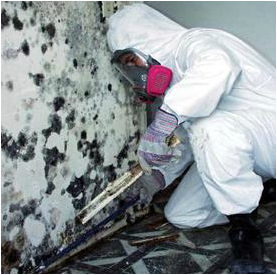 You can contact your county or state health department about mold issues in your area to learn about what mold assessment and remediation services they may offer.